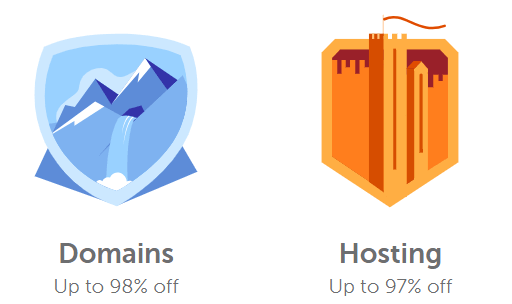 Namecheap hosting is one of the best web hosting provider powering thousands of website including Xtremeloaded and they are now offering unimaginable 98% off discount on their upcoming Black Friday sale starting from 23rd November 2018. If you are not happy with your current hosting provider or just want to power up a new website then it's time to test something new and better without spending more during Namecheap hosting Black Friday sale. In case you care to know, I first hosted Xtremeloaded with Web4Africa and had to move to Inmotion hosting later before settling with Namecheap for some personal reasons. My experience with Web4africa was terrible which made me to move on to Inmotion hosting and to be sincere Inmotion was the first web hosting that I used completely one whole year without any significant downtime and they remains the best if you ask me to name the best web hosting that I have ever used but as a blogger we are bound to test different hosting so that we can be able to write and share our experience to the people who wish to know. Presently I am with Namecheap hosting and so far so Good they are doing well and I was attracted to check them out when I noticed that many websites powered by them are loading and responding very fast. NameCheap is very affordable with excellent 24/7 customer care support and if you want to change your current hosting then you must act fast and pay less during their Black Friday promo. To refresh your memory the Black Friday will be on Friday 23rd November 2018 and the first thing to do right now is to signup for an account before the time because according to them you can only claim any of the available deals if you're logged in. During the promo you need to track down any of the deals that please you and you will be issued a discount coupon code that will last for 48 hours (2days) which you must checkout before the time or It will expire, and you will no longer be able to use it. Finally, if you don't have little money on your bank account then you need to fund your account and stay connected throughout the Namecheap Game of Deals black friday sales to enjoy new deals every hour. You will be able to purchase a top level domain at an affordable price including hosting Hosting up to 97% off and if you need a cheap secure Sockets Layer (SSL) certificate to secure your website then this is the right time to enjoy up to 90% off.